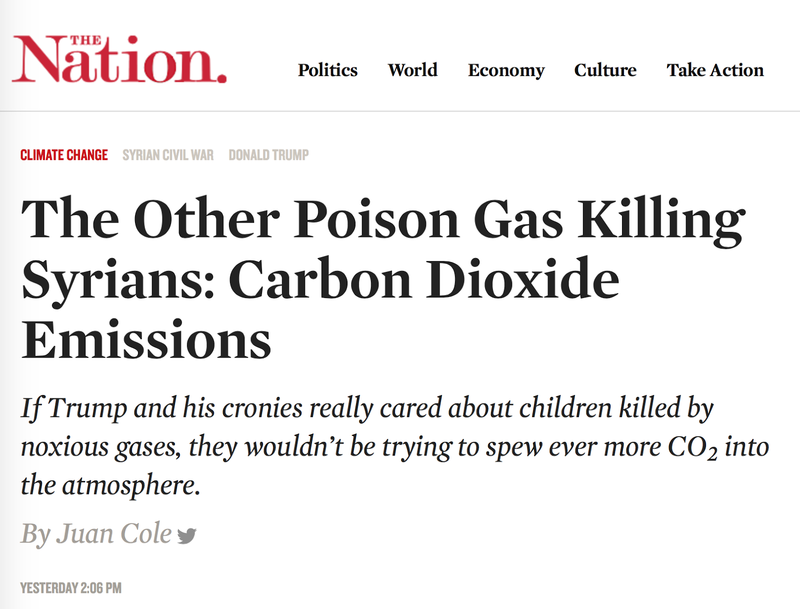 The headline and subhead are intended to frighten for political reasons (only) but that isn't the worst part: It is terribly inaccurate scientifically. 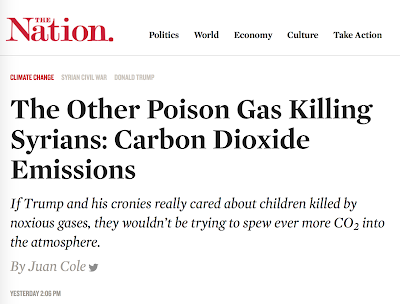 If carbon dioxide suddenly dropped to the levels wanted by global warming activists, the children in Syria and other poor nations would die of starvation. That's not even up for dispute to anyone who knows the science. The earth is greener with the highest per capita food production ever! There is less extreme poverty than at any time in the history of humanity. All of this is made possible by CO2 and by fossil fuels. Does it make sense to begin a transition to alternative fuels? That is a point on which reasonable people can disagree. Do humans affect the climate? Absolutely! But, when it comes to less carbon dioxide, be careful what you wish for. The New Zealand principal climate scientist was chatting on our radio today and he said a lot of carbon produced by man can not be used by plants. Carbon 12 versus carbon 14. I have never heard of this before.